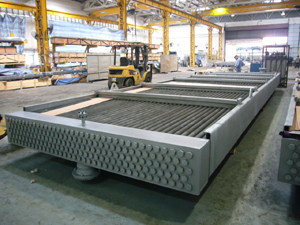 Apart from traditional Tubular heat exchangers manufacturing, Aztech Heat Exchangers also has good experiences in designing and manufacturing air cooled heat exchangers for various industries. We are able to provide various type of Fin Tube for the different design applications. The most common type of Fin Tube used are 'L', 'LL', 'KL', 'G', Extrusion and Wire wound.